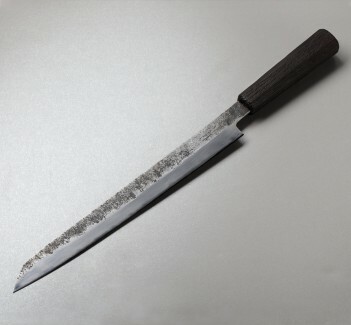 A collaboration between blacksmith Bryan Raquin and custom handle maker Anton Kudris, this 200mm nakiri in three-layer san mai carbon steel is ready to chop an endless flow of vegetables flowing through the kitchen. 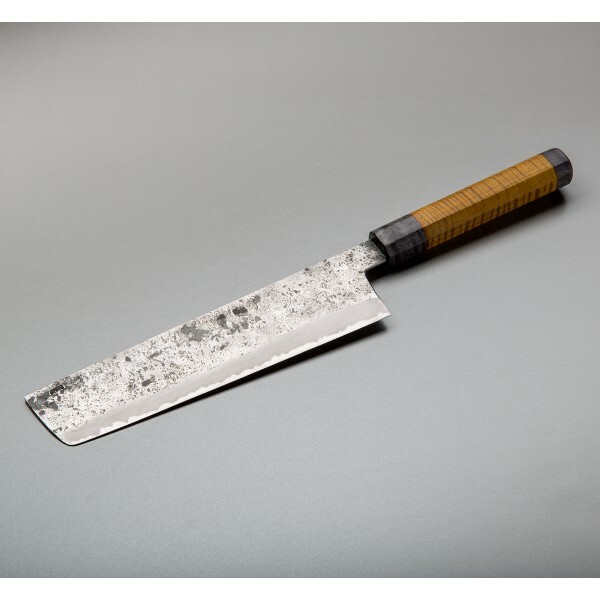 Comfortable in the hand and finished with a look that complements the rustic look of the forged blade nicely, the stabilized maple handle with dyed bolsters features a traditional octagonal shape. 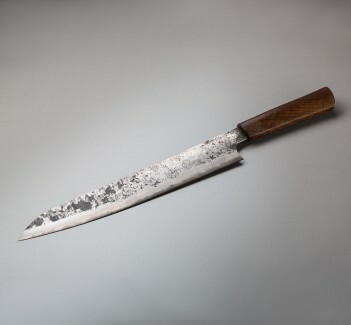 The blade, 50mm tall, is made by hand by Bryan in his one-man shop in central France and has a core of 1.3% carbon steel for the edge, hardened to approximately 64 HRC. Designed by Bryan Raquin of Kiridashi and Tools, whose work we feature regularly, this is a special knife featuring a custom handle from handle maker and woodworker Anton Kudris. 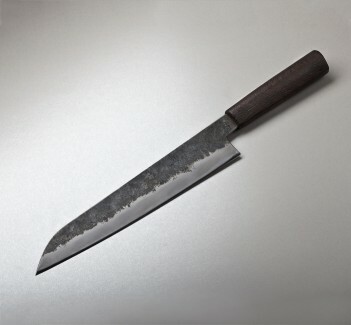 Light and fast in the hand, the tall, thin, and fast nakiri blade is designed to move effortlessly through vegetables large and small for efficient and fun prep work in the kitchen. Bryan's san mai steel is always made in house and is heat treated, profiled, and sharpened to a hair-popping edge in his one-man shop. 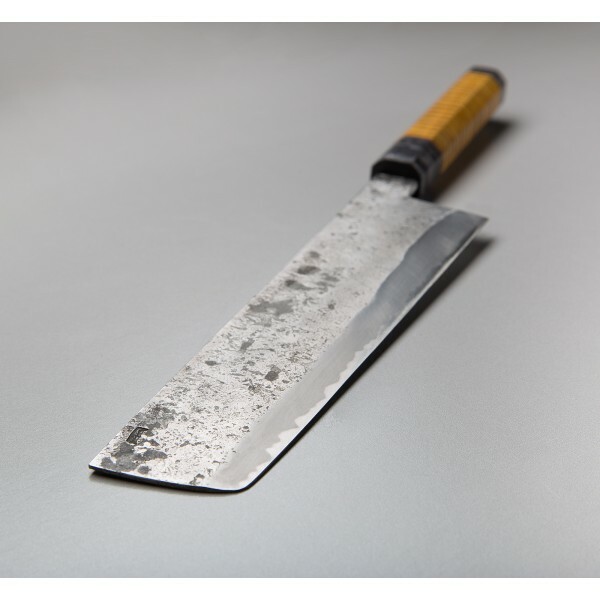 A blacksmith with a passion for edged tools, Bryan's hand forged chef knives represent a class of their own in terms of form and function. 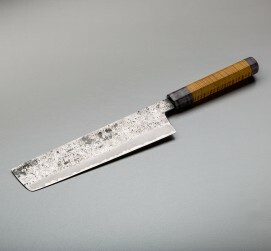 3-layer homemade San Mai carbon steel, water quenched to ~64hrc.